Told in first person by an old Grim who recounts his memories, and talks about war crimes he committed, the novel creates an atmosphere of condemnation and guilt, and is full of philosophical reflections on human nature, the relationship between the powerful nations, poor nations and the relations of war. Classification? Future social history sci-fi, maybe. with the emphasison the sociology of a world involved in a war that is almost a worldwide phenomenon. "Norse saga" or "epic" could also be applicable categorizations. There are two distinct parts. In the first, which occupies almost all the book, deals with the long drift to the ice and the exile of Grim Fiddle. In the second part, it suggests vaguely historical events in the background. Western governments, concerned about the unstoppable wave of refugees and the problems that can cause, organize what is called the Cross of Ice, which is responsible to set up camps for resettlement in the Antarctic Circle which are reality nothing more than concentration camps where refugees are expected to stay away from civilization. 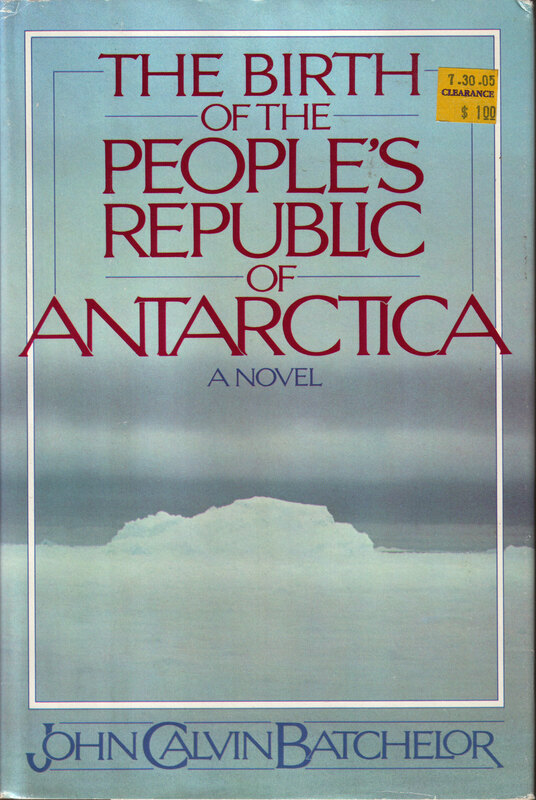 Surprisingly, the People's Republic of Antarctica has been finally founded in Aug. 18th of 2010 by the citizens of Antarctica (the Mary Byrd Land section). Although the country claims land amounting to an area greater than that of most nations, it is not recognised by other countries as of yet, however the United Nations has been notified of it's declaration of status. The Nation has no permanent population, and can thus be considered a micronation.